Although a highly industrialized society was established in Japan during the 20th century, this “mature” society is rapidly evolving to the one that is a “super mature” in the 21st century and facing issues including (1) a lower birthrate and increased longevity and (2) the ever-lasting low-growth economy. There, global warming, energy shortages, food crises, natural disasters and subsequent recoveries challenge the sustainability of modern societies. These complex and interrelated problems, more often than not require trade-offs rather than easy clear-cut choices. The daunting problems facing us are no longer solvable with the skills obtained in a single specialized academic field; it will be a new era to seek solutions by combining efforts from a number of academic fields and importantly from both arts and sciences. In this year, leaders to be cultivated will have the following character traits: projecting a clear view and vision of how to achieve a sustainable development in the face of the challenges of the super mature society; acting globally to accomplish proactively and emphatically all these challenges; being broadly trained (all-round), possessing deep academic expertise and being capable of establishing a new framework of society. 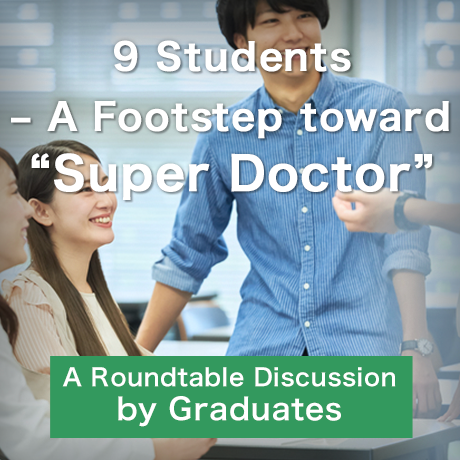 It is the norm that the value of graduate education has been judged by its academic contributions. However, our society will now need highly qualified doctoral students who possess planning and management abilities across different academic disciplines. 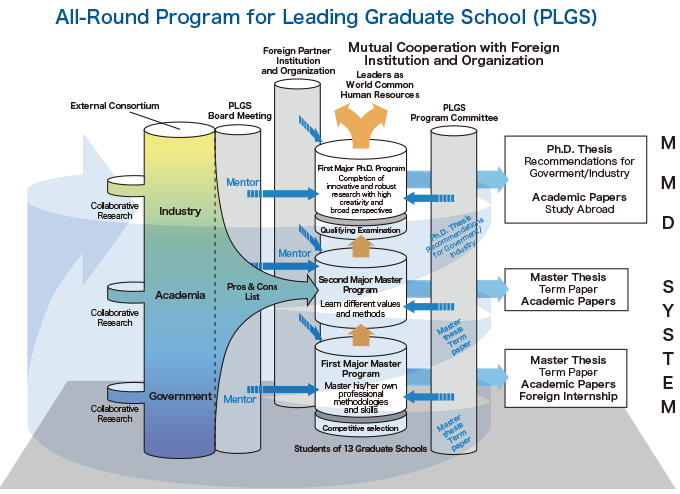 The goal of our All-Round Program for Leading Graduate School (PLGS) is, thus, to cultivate highly qualified doctoral students who can lead a sustainable development of the super mature society by seeking to revolutionize education and research within an integrated framework of arts and sciences and collaborations with industry and government.